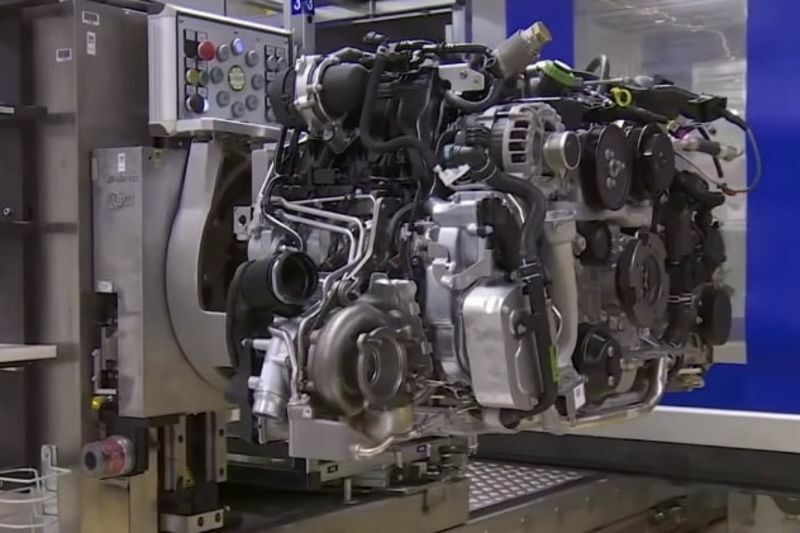 I bet all of you have, at some point, wondered how a car engine is assembled – which and how all those many pieces are put together to make these glorious things that propel us forward at such incredible speeds. Now with this great video, you can get an idea. In their factory in Zuffenhausen, Germany, Porsche builds the engine of the legendary 911 among others. This video shows just how people and machines work together, without any interruptions, creating this magical engine. While the components are constantly coming down the line, there doesn't appear to be much of a rush. It is just a slow and steady movement that gives workers time to complete their appointed tasks. In the video, the employees do not even seem to talk to each other; the only sound that you hear is the hum of the plant or whir of tools. Have a look at the video below to see how these famous engine's slowly come together, largely from human hands.